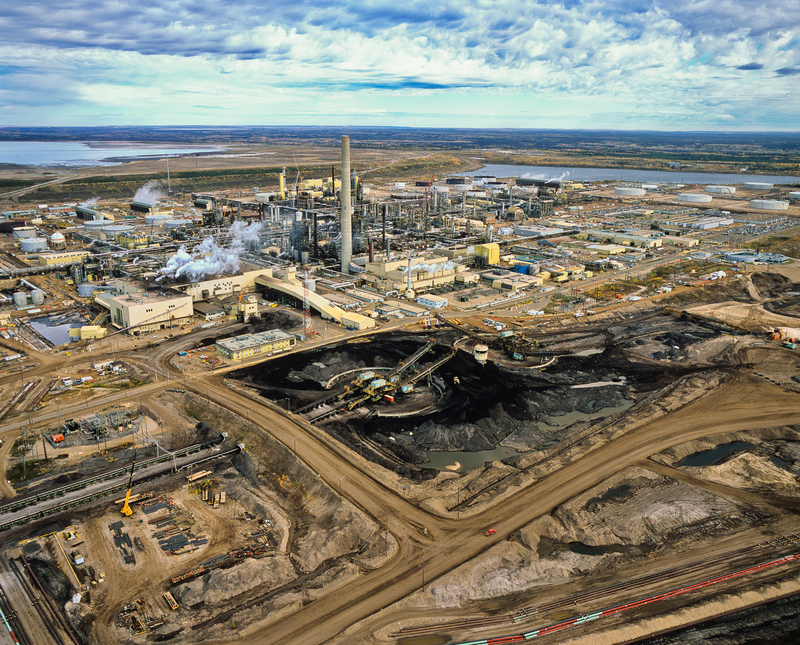 Industrial landscape: Canada's Tar Sands: Syncrude Upgrader and Tar Sands. Northern Alberta 2005. Syncrude Upgrader and Tar Sands. Northern Alberta 2005. The refining or upgrading of the tarry bitumen which lies under the the boreal forests and wetlands of Northern Alberta consumes more water and energy than conventional oil production and produces more carbon. Each barrel of oil requires 3-5 barrels of fresh water from the neighboring Athabasca River. About 90% of this is returned as toxic tailings into the vast unlined tailings ponds that dot the landscape.